James Keefe sat nervously in his Exit Planning Advisor’s office. Until the day before, he had been president of Keefe Automotive Sales, one of the region’s largest new car dealerships. Now he was out of a job and felt he was a victim. Naturally, his first thought was to sue those responsible for his misfortune. The targets of his wrath were his younger sister and his mother. They had forced him out of the business. After his father’s death, James had received 49 percent of the stock in the family business. Another 49 percent share went to his sister. The remaining two percent — the swing vote — was held by their mother. James’s father had brought him into the business early and taught him well. After the founder’s death, James assumed all responsibilities for sales and became the key man in the business. His sister, Susan, handled the bookkeeping and other administrative matters. Her husband managed the service department. Despite the economic slump that hit the region, the business persevered under James’s stewardship. It had a long-standing tradition of service and good name identity because the elder Keefe had pioneered the new car business in the suburbs. Because of his dedication to the business, James had not spent much time nurturing family relationships. He was less a devoted son to his mother than was his sister a devoted daughter. As their mother aged, she became increasingly susceptible to the influences of her daughter. Family friction continued. A confrontation was inevitable. James had always assumed that his superior abilities and position as president and board chairman in the company would enable him to win any family showdown. He was wrong. At a special meeting of the board of directors, James was removed from his posts, fired as an employee, and given three months of severance pay — after he had worked 25 years in the business. James naturally felt he had been victimized. And he was! But not so much by his sister and mother as by his deceased father. By failing in the most important remaining task in his life — to plan his estate — the elder Keefe made his son an unintended victim. The unfavorable business transition experiences described above in the hypothetical case study may have been avoided had James’s father asked — and answered with the help of an experienced Exit Planning Professional — six critical questions. 1. How can I provide for an equitable distribution of my estate among my children? 2. Who should control and eventually own the family business? 3. How can I use my business to fuel the growth of my estate outside of my business interests? 4. How do I provide for my family’s income needs, especially those of my spouse and dependent children, after my death? 5. How can I help preserve my assets from the claims of creditors during my lifetime and at my death? 6. How can I minimize estate taxes? Your thoughtful answers to these questions, followed by appropriate implementation, may well prevent a similar experience in your family as James went through in our case study and support a more smooth business transition for all parties involved. In the next Exit Planning Navigator® articles, we will analyze each of these questions further and discuss how to address them in a comprehensive estate plan that supports your overall Exit Plan. 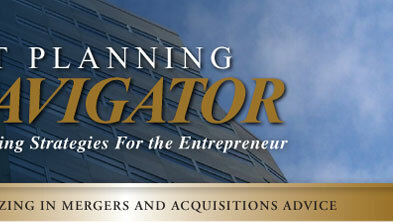 Subsequent issues of Exit Planning Navigator® discuss all aspects of Exit Planning. 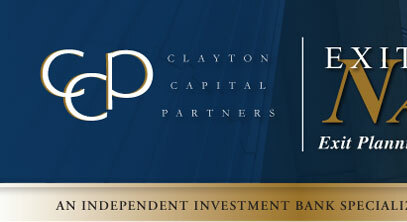 If you have any questions regarding the Exit Planning process, please contact Kevin Short, Managing Director (kshort@claytoncapitalpartners.com).